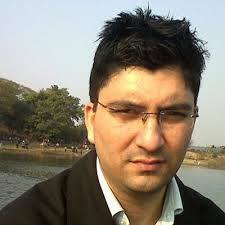 Daleep Singh Manhas has been working in the advertising industry for last 10 years. He is general manager and vice president at McCann health Delhi. He also heads the planning function for McCann Health India. He started his career in the year 2001 with a pharmaceutical company in their sales management function. In 2007 he joined McCann health as a account director working with key clients like Novo Nordisk, J & J OneTouch and Piramal Pharma. In the year 2010, he moved to Delhi as Strategic Planning Director and started working with clients like Nestle Nutrition, Dabur, GSK and GiZ. He has worked on several milestone campaigns like Superbaby for Nestle, AskDabur for Dabur, Unnat Chulha for GiZ, Alzheimer’s local for Health-Care at Home. He has a keen eye for insights and works on ideas that work for the brand and for business too. He believes in the principle of action-leadership, not just thought leadership.